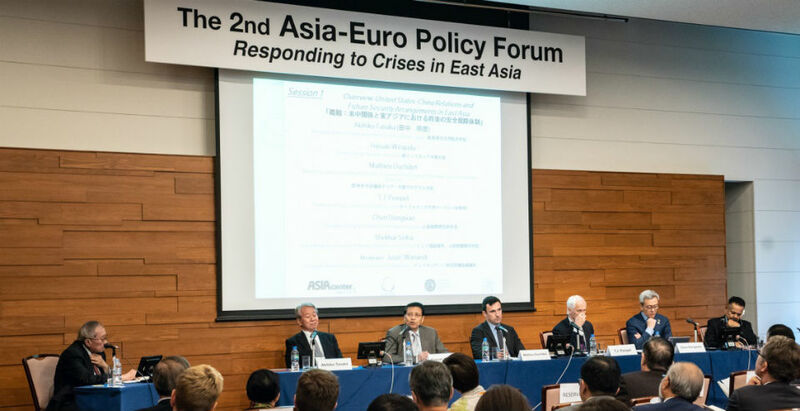 The report of "the 2nd Asia-Euro Policy Forum: Responding to Crises in East Asia" has been posted. The Forum was held at the International House of Japan in Tokyo on 12-13 September, 2018. The Asia-Euro Policy Forum was held with GRIPS Alliance as part of the trilateral policy research project, Asia-Euro Policy Dialogue (AEPD), which aims to strengthen exchanges on Southeast Asia's current reality and beyond among ASEAN countries, Europe and Japan. Under the theme of "Responding to Crises in East Asia," distinguished speakers from ASEAN, Japan, Europe and other countries gathered to engage in a highly active discussion over the two days. For more details, please click below. "Asian Three-Fold Mirror 2016: Reflections" is coming soon to TSUTAYA DVD rental shop near you! "Asia in Resonance 2019" will be held this year!